This week my friend and I traded records. I gave him two Johnny cash albums that I had an extra copy of and he gave me “Good News for People Who Love Bad News” by Modest Mouse. 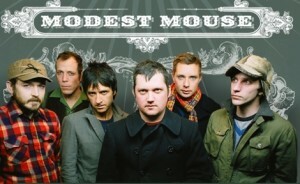 I am a big Modest Mouse fan. I think they are lyrically sophisticated and intricate and that their unique post-grunge/ alternative style is very intriguing. 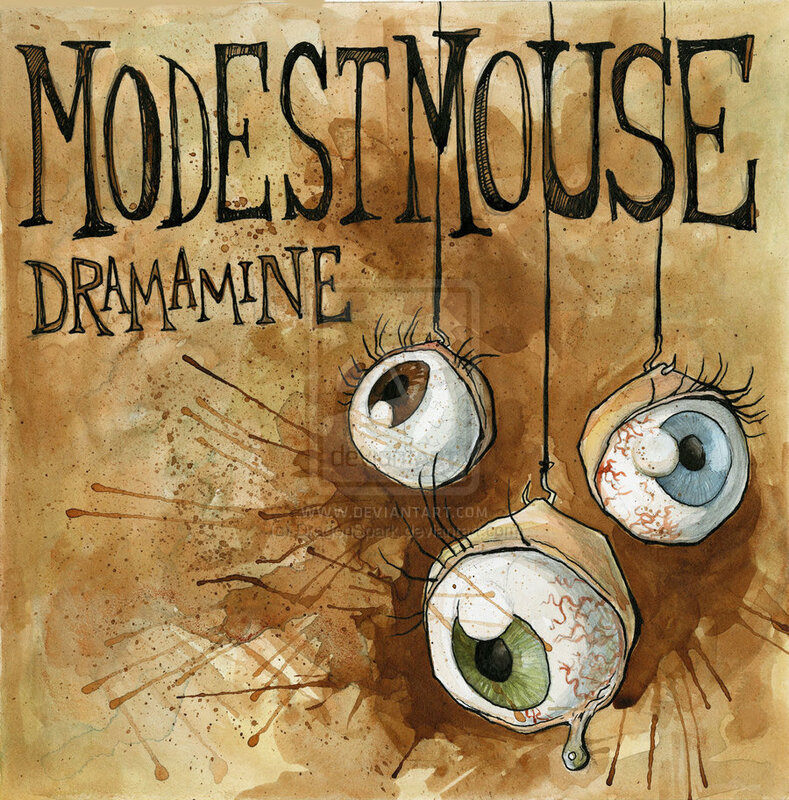 This is probably my favorite Modest Mouse album, the only other one that is close is “We Were Dead Before the Ship Even Sank” and thats mostly because “Spitting Venom” is on it. Modest Mouse is an interesting band. It consists of singer/guitarist Isaac Brock, drummer Jeremiah Green, and bassist Eric Judy. The band themselves lead an interesting life. For while the band was heavily into drugs, especially uppers such as meth and other amphetamines as well as cocaine. They also experimented with legal drugs such as dextromethorphan which is in common in otc cough syrups. This experimentation lead to interesting beginning songs such as “Novacain Stain”(a reference to the Novacain like effects that doing large amounts of coke gives the user) and “Dramamine” (a legal otc drug that when taken in large doses gives an amphetamine like feeling). This heavy drug use led to a feeling of sadness in there music the due to the depressing and tiring comedown from uppers. Also, it led to the experimentation with periods of high frequency playing followed by periods of slow playing representing the feeling of going fast and coming up and then the comedown. One amazing song on this album is the world at large. It’s about the need to keep traveling in order to escape emotional pain. The song interestingly displays the mindset of someone who just keeps leaving and changing. As the song progresses you delve deeper into this person who is increasingly afraid of staying in one area. During the last refrain It is revealed that this running is due to the emotional pain dealt to him by a girl he loved and the depression that followed. Another great song that is on the album is “Float On”. This is their most known song and it got a lot of airtime on the radio. It’s a good song (a little more happy then a lot of their songs and a little too happy for me personally). It’s about keeping going despite huge and tragic setbacks. I like it, but think the song could have been a little more gloomy like the guys life is destroyed and he’s just gonna “Float On”? “If God takes life, he’s an Indian giver. So tell me now why, you’ll tell me never. “As life gets longer, awful feels softer. The last song on the album and the one that is the most emotional for me is “The Good Times are Killing Me”. This song is all about the struggles of addiction and the power of the drug to pull you back. Isaac uses his addiction to drugs to perfectly convey the power of this disease. The beginning of the song is a small group of friends at a house party who just went into another room to smoke a cigarette and talk. This song is emotionally sad for any listener, but it hits especially close to home for me. 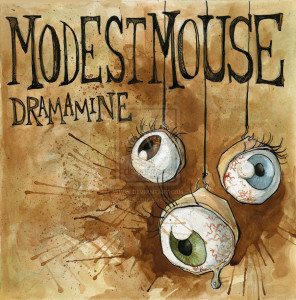 My Best friend back home who went to rehab was a huge modest mouse fan and this was his favorite song. I can’t tell you how many times he would play this song while we were smoking a cigarette and he would promise that he was done with drugs and that he was gonna stay on the straight and narrow. The disappointment of seeing him later that day visibly nodding off or geeking on speed would crush me. Because of that I can barely listen to this song without almost shedding a tear. I’ve included the lyrics below. I will bold the section that I think is the most revealing to the struggle of unintentional drug addiction. Have one, have twenty more “one mores” and oh it does not relent.